Immunity Project, a startup focused on developing a vaccine platform, has become the second non-profit organization to be backed by Y Combinator. The group joins Watsi as the only two non-profits to ever be admitted into YC and is also a sign of the program fulfilling its promise to back these groups by providing charitable donations to support it. Founded by a team of Stanford, Harvard, and MIT scientists and entrepreneurs, the Immunity Project aims to develop a vaccine platform that seeks to understand why some people are immune instead of others and find a way to replicate that in those infected so their bodies can ward off the disease. The first vaccine the group is developing is aimed at helping to eradicate HIV. The idea will be to have it be dispensed using a nasal spray. It is also crowdfunding its clinical trial program. Imagine a world where vaccines are developed for a tiny fraction of the big pharma cost and given away for free to everyone who needs them. We thought that work done by Microsoft Research that underlies this was really interesting, and we’re always interested in areas where software can change how things are done. Technology means doing more with less; this is an extreme example. I spent a fair amount of time with this group during their application process, and am personally donating both money and blood. So what makes Immunity Project stand out among all the other scientists and groups seeking to cure the world of HIV? It tells us that not only are its vaccines going to be free, but it’s leveraging machine learning to reverse engineer the biological process of those with a natural immunity to HIV it, so they can be reproduced and dispensed to afflicted patients. Additionally, Immunity Project’s vaccines will contain no living, dead, or surrogate viruses. The company claims that they also have the potential to be therapeutic. Immunity Project says that it has made “significant progress” in its vaccine development and is ready to conduct the first phase of its human clinical trial in the US and South Africa. It hopes to raise enough money through its crowdsourcing program to fund it — the organization is looking to raise $25 million. But while developing a HIV vaccine is a noble cause, Immunity Project doesn’t plan on stopping there — once thoroughly tested, it’s likely that additional diseases will be targeted — which could include cancer, Alzheimer’s, and Parkinson’s, to name a few. But tackling HIV is no easy task: it’s estimated that over 35 million people are living with it and an additional 7,000 are infected every day. 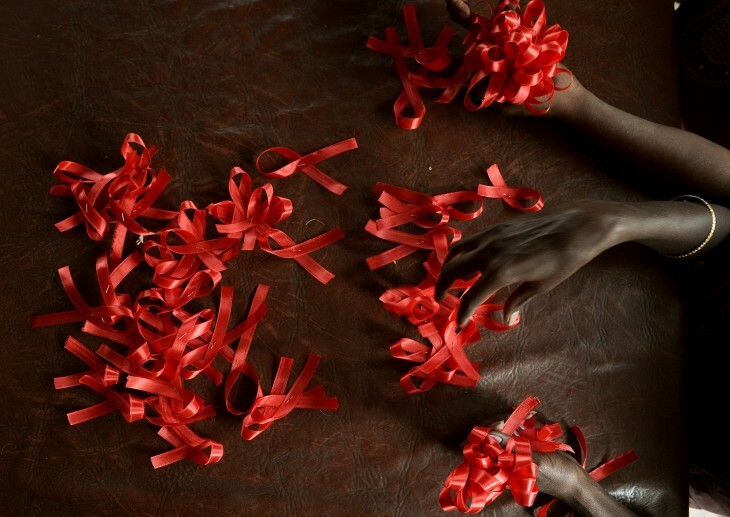 Since 1983, nearly 30 million lives have been lost to HIV worldwide. It’s been a year since Y Combinator admitted its first non-profit, Watsi, in January 2013. The growth and mission of the organization was such that it even led Paul Graham to accept a seat on its board of directors. You can read Watsi’s compelling story here.